Two eye-catching titles are a good start before any content of a record is revealed. Ruarri Joseph may be proud to disturb the peace, but those submerging themselves into the deep canyon of William the Conqueror’s debut album will not be too perturbed to have theirs disturbed. PROUD DISTURBER OF THE PEACE is the opening shot of a former signed folk-singer turned full on band unit and it unravels as a high impact release. It is quite easy to be caught up in industry mutterings especially when the product is still mainly kept under wraps. However, there is no denying that William the Conqueror have firmly delivered with this neatly packaged fully fledged record. The back-story of bandleader Ruarri Joseph has been widely documented and in essence, it reveals an artist forever searching that moment of satisfied integrity. 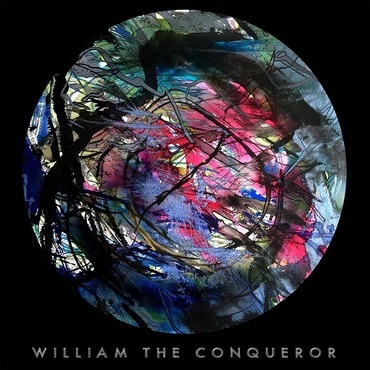 Where the William the Conqueror project leads him only time will tell, but there is a deep rooted appeal in a collection of tunes fluctuating between folk rock and its grittier indie cousin. Associations of Americana have been banded around, yet there is so much classic British distinction to the sound. This is from an artist who spent his formative years in both Scotland and New Zealand before eventually finding a secure base in Cornwall. The track ‘Manawatu’ offers a down under experience and eventually closes an album that tantalises those trying to nail the overall feel to the sound. This follows a three pronged beginning where the rhythmic guitar beats of ‘In My Dreams’ and ‘Tend to the Thorns’, partially in Wedding Present mode, in addition to the profound chorus on ‘Did You Wrong’ take hold. Any notion of this railroading onto being a complete hardened rock album evaporates at this point as a more temperate mood takes hold. The intrinsically messaged ‘Pedestals’ and slow bluesy tones to ‘The Many Faces of a Good Truth’ make a stern stab at being the record’s highlights from a personal perspective. These are closely followed by a narrative piece in the latter stages titled ‘Cold Ontario’ complete with an ear catching fuzzy call and response segment. The title track also appears in the second half (side two to those who will inevitably savour the vinyl), which, while changing the pace, is not quite the rouser that the word ‘disturber’ suggests. What does ignite the record is its perfectly measured pace, exemplified by the harmonica infused folk number ‘Sunny is the Style’ and the grooving piece ‘Mind Keeps Changing’. Although eventual impact is high, there is a slow burning element to the record. Ultimately, the tracks achieve the required objective of getting under your skin, even to the extent of possessing anthem potential. Indeed, there are so many facets of the ten tracks to discover, that any review can only be a mere introduction. Whether you view this album as Americana or one of several stages of clear cut rock, the important thing is that it is one of the year’s most intriguing and relevant releases. 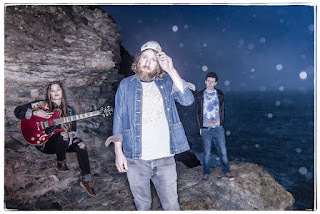 PROUD DISTURBER OF THE PEACE gets its release via Loose Music on the day that this review is published and William the Conqueror significantly move from being an industry murmur to one of significant recording artist. This album will be judged by a few and enjoyed by many. Falling into either camp is fine.